At R & S Law Group, LLP, we understand that choosing an attorney can be a difficult endeavor. There’s several factors to consider, including the attorney’s reputation, the track record of the law firm, and more. One aspect that many people overlook however is accessibility. For this post, we want to highlight how an accessible and attentive attorney can make a difference in your California divorce, particularly in contrast to less attentive lawyers. After all, you don’t want to end up with a lawyer who is always busy or has trouble giving you and your case the time of day. Some of these issues are more pressing than others, and it can be disappointing or frustrating if your attorney takes days or weeks to respond to your calls and texts. Other attorneys will often delegate these tasks to less experienced junior staff, which can be problematic on its own right. 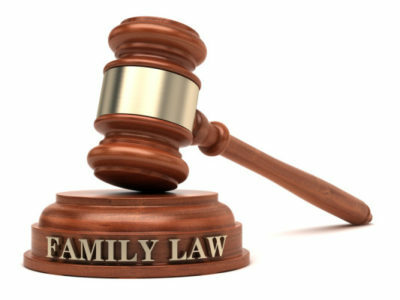 Do you focus on family law/what is the scope of your practice? How long do you expect my case/proceedings to take? How long do you take to return calls/texts/voicemails? Will other staff members in the office be working on my case? At R & S Law Group, LLP, we take our commitment to each and every one of our clients seriously, and always give each case the attention that it demands. Find out for yourself and schedule a free initial consultation with one of our experienced family law/divorce attorneys. Call R & S Law Group, LLP today at (949) 825-5245 to learn more.